Brock Tessman, dean of the University of Montana Davidson Honors College, has been selected to be the next deputy commissioner for academic, research and student affairs for the Montana University System. Tessman has accepted the position, pending approval by the Board of Regents, which is scheduled to meet in July. The position was vacated by John Cech when he left to become the president of Carroll College earlier this spring. Tessman will start attending meetings for the statewide organization soon, transitioning into the new job over the next two months. He will not be leaving his position at the Davidson Honors College until August 19. As deputy commissioner, Tessman will work closely with the Board of Regents, commissioner and the 16 colleges and universities within MUS, said Blair Fjeseth, communications director for the Office of the Commissioner of Higher Education. “They play a huge role in the university system and have their hands in a lot of things,” Fjeseth said of the position. The deputy commissioner is at the forefront of making large academic decisions, such as the creation or elimination of an academic program, at any of the 16 colleges and universities. He will also help guide research goals and student affairs, such as college readiness programs, Fjeseth said. The Office of the Commissioner of Higher Education reached out across the system for interest in the position and, after conducting interviews, selected Tessman. 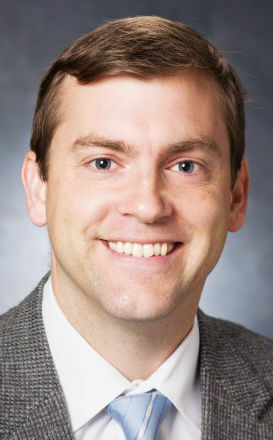 Tessman has been the dean of the Davidson Honors College since 2015, but has been a candidate for several other positions in the last three years. In 2017, Tessman was a semifinalist in the University of Montana’s presidential search. Earlier this spring, he was one of four finalists in Lewis-Clark State College's presidential search. Tessman was also a finalist in the University of Central Arkansas’s provost search in February, but was not chosen for the position. UM President Seth Bodnar voiced his support for the hiring. “Brock (Tessman) is a dynamic and visionary leader who will bring great benefit to the broader university system. I look forward to our continued collaboration in his new role,” said Bodnar in a MUS press release. “I am thrilled with this opportunity to work with such a talented team at OCHE, the Board of Regents, and every MUS campus in order to build upon existing areas of success,” Tessman said.